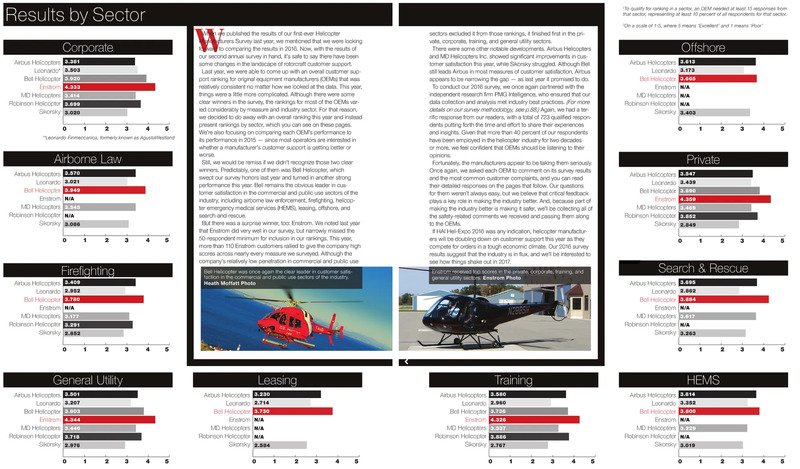 Vertical announces results of 2016 Helicopter Manufacturers Survey. Enstrom wins the Best Private, Training, Corporate and General use Helicopter in the Vertical Magazine Helicopters 2016 survey. The second annual Vertical Helicopter Manufacturers Survey had a total of 723 respondents who provided feedback on a wide range of questions related to customer support and aircraft performance. Enstrom has the most satisfied customers in the private and training sectors, according to more than 700 industry professionals who took part in the second annual VerticalHelicopter Manufacturers Survey. Conducted in April 2016 in partnership with the independent research firm PMG Intelligence, the Vertical Helicopter Manufacturers Survey asked current members of the helicopter industry to rate their satisfaction with helicopter manufacturers’ products and services. A total of 723 respondents participated in the survey, providing feedback on a wide range of questions related to customer support and aircraft performance. Those evaluations were used to rank seven major helicopter manufacturers on their performance by industry sector. Enstrom had high scores in the private, corporate, training, and general utility sectors. Complete results can be found in the June-July 2016 issue of Vertical. The survey report also provides an overview of respondents’ comments for each manufacturer, with detailed responses from the manufacturers. 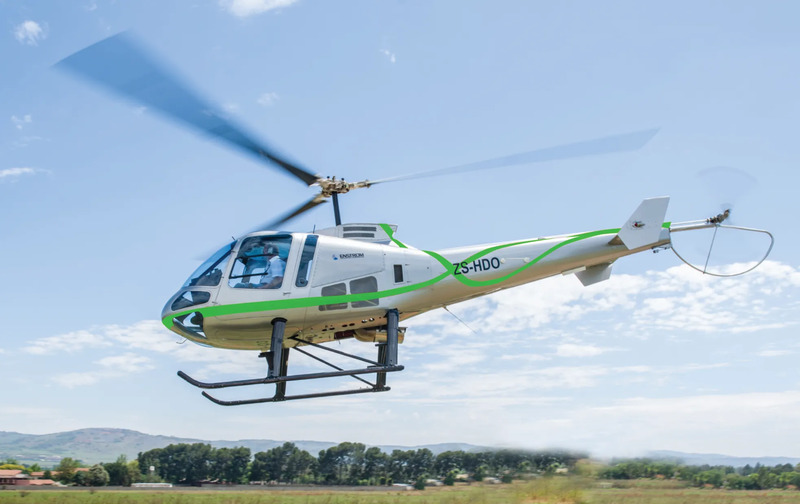 Reyno noted that 43 percent of respondents indicated that they have been employed in the helicopter industry for 20 or more years, reflecting the depth of their experience and insight.